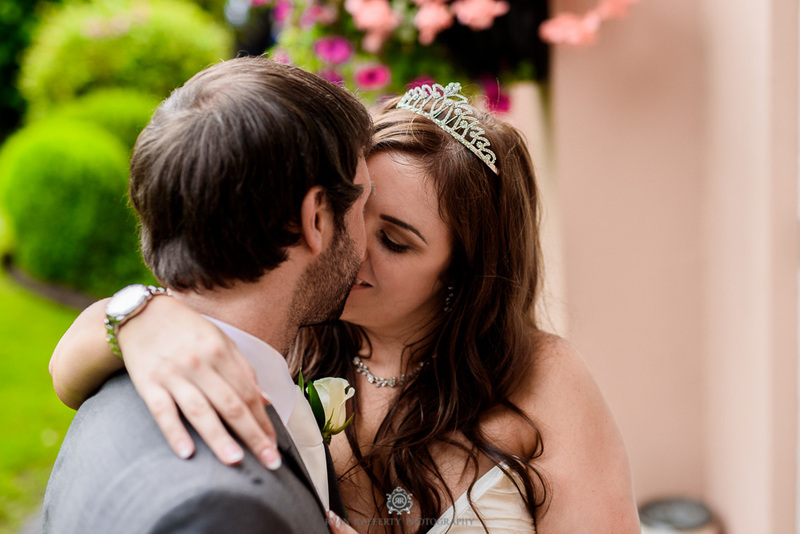 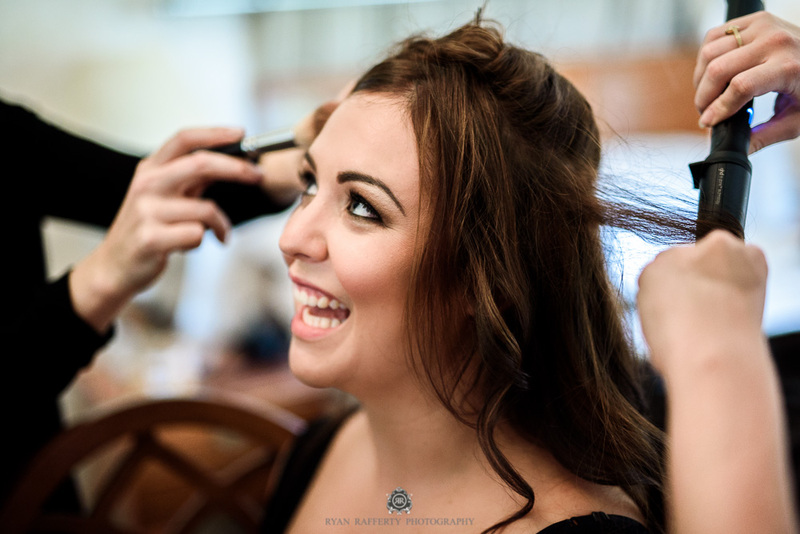 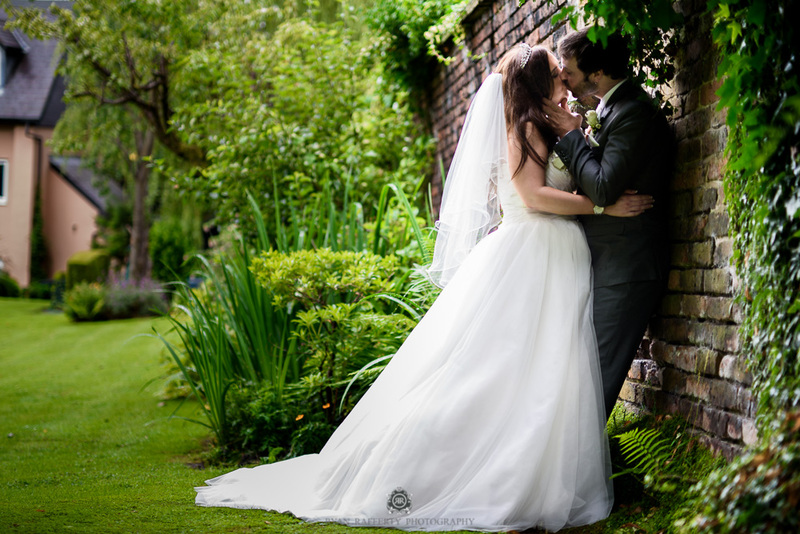 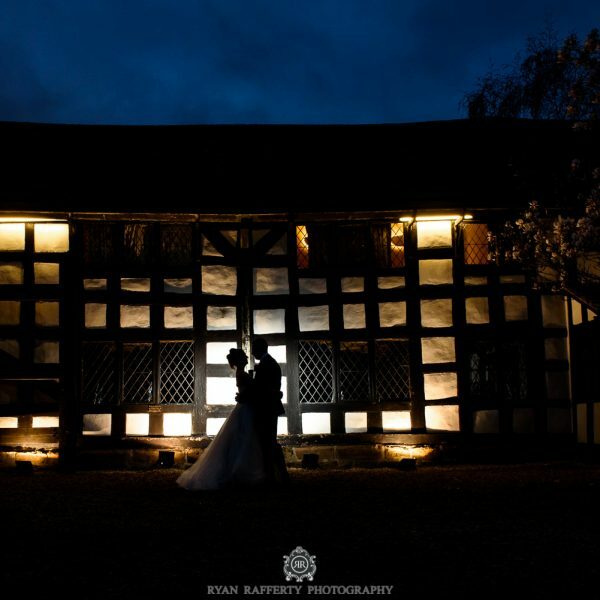 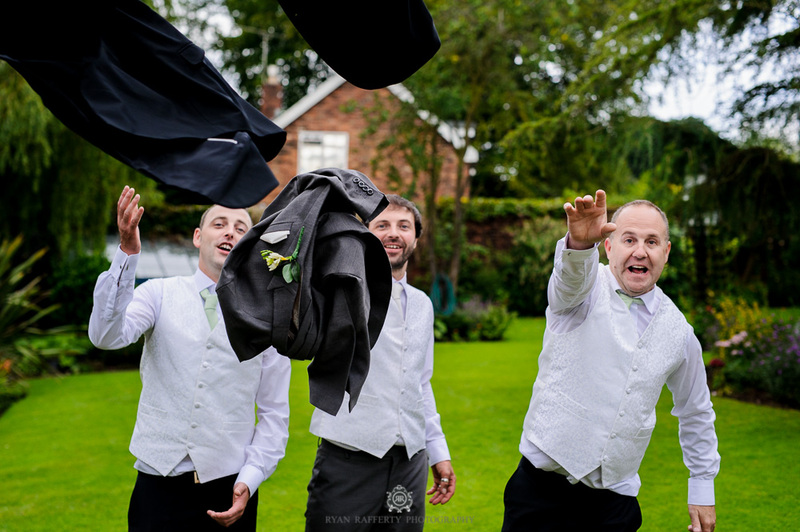 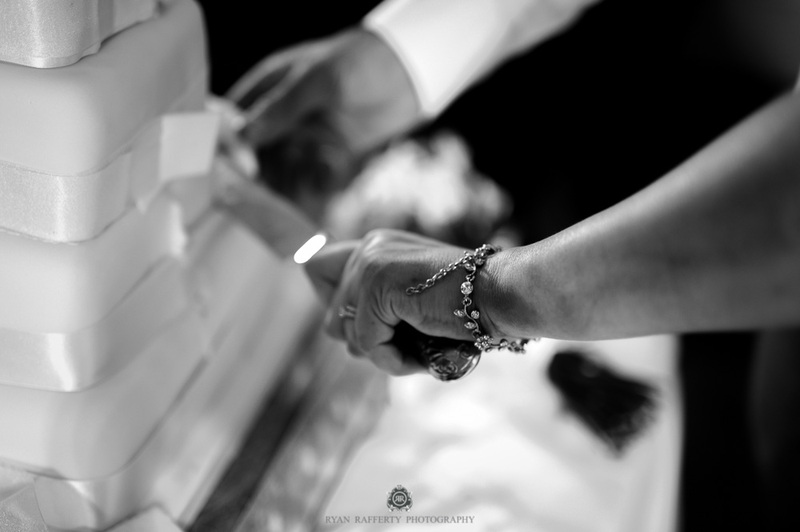 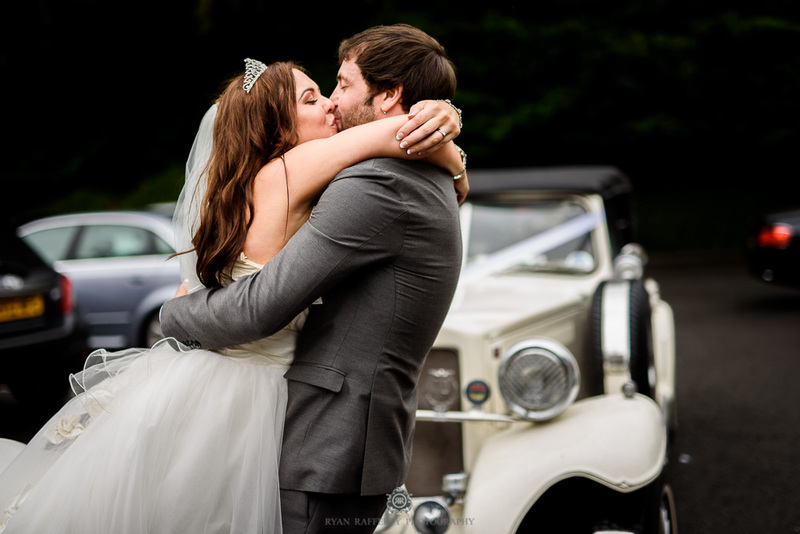 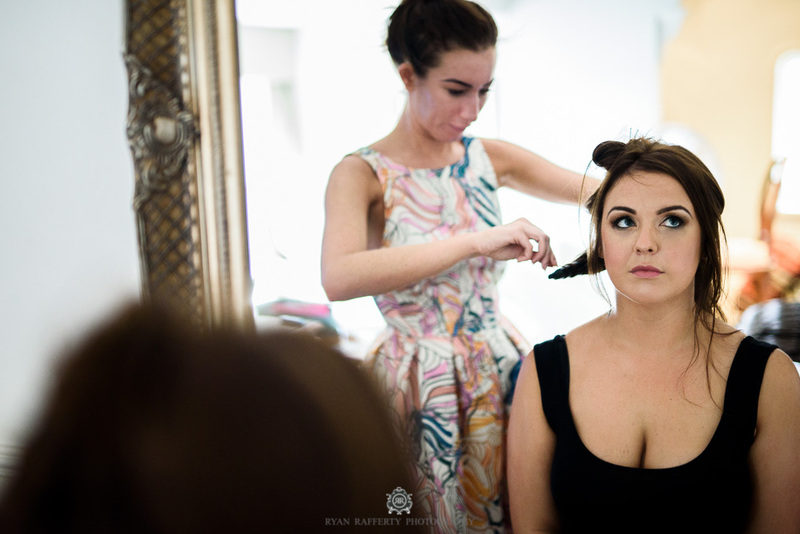 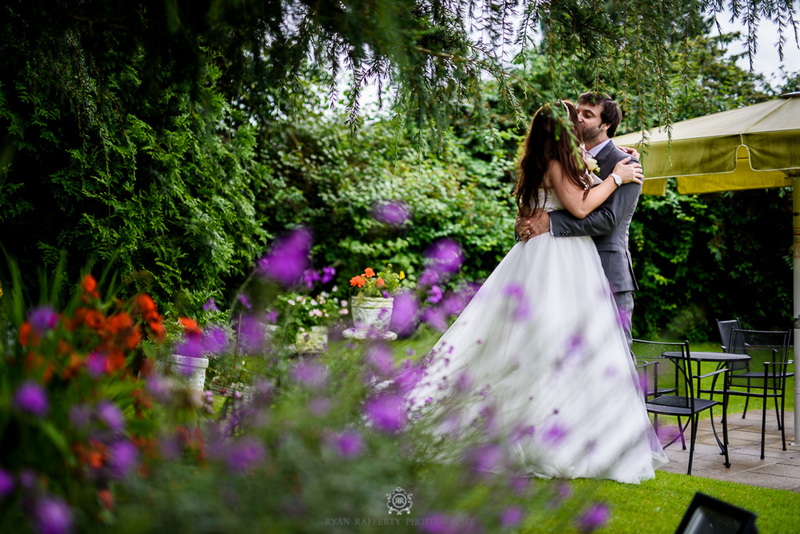 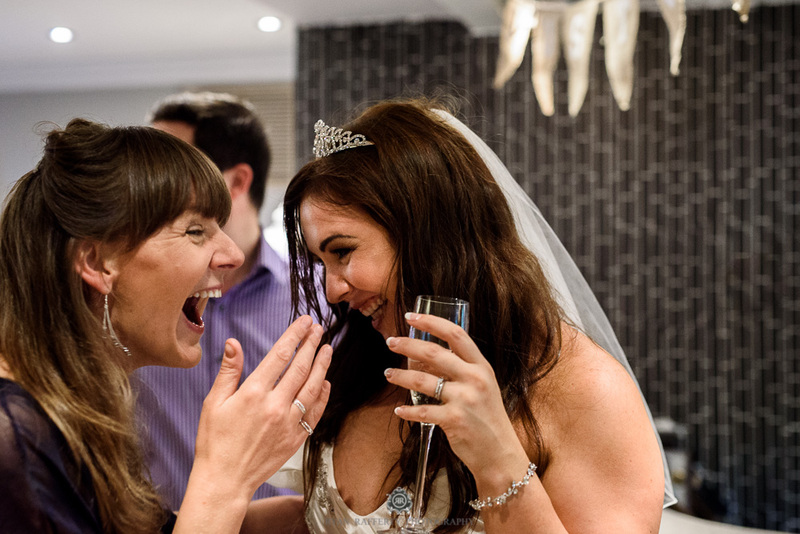 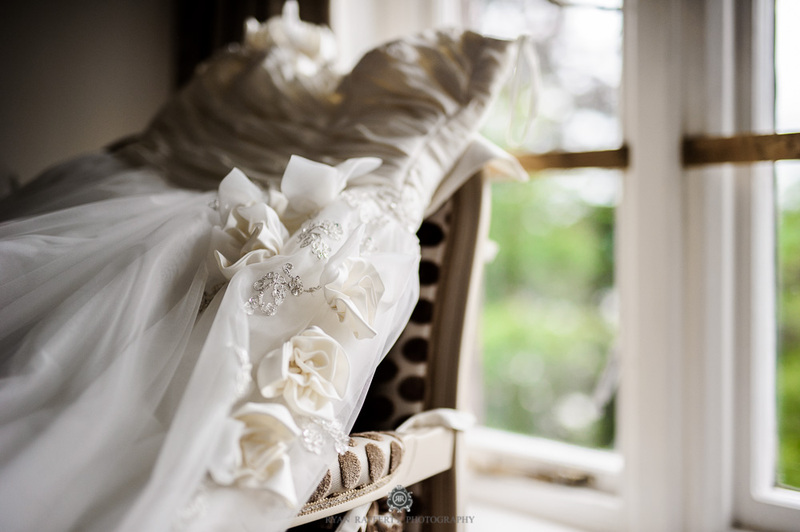 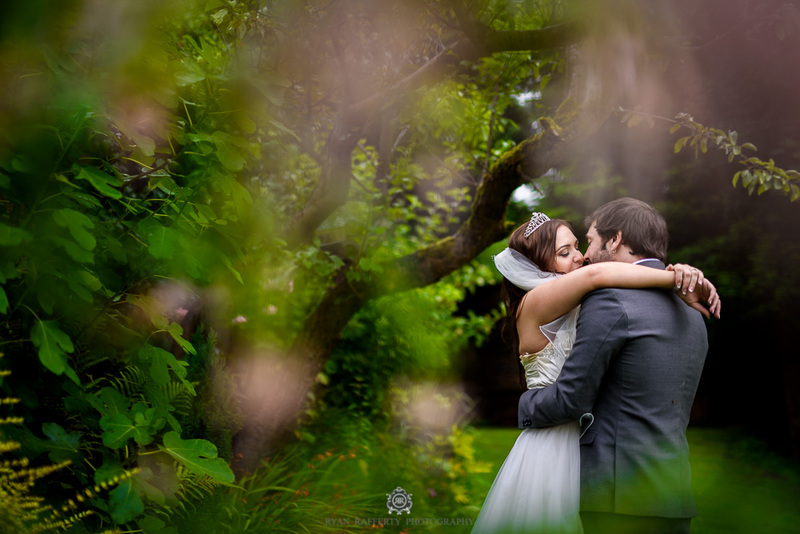 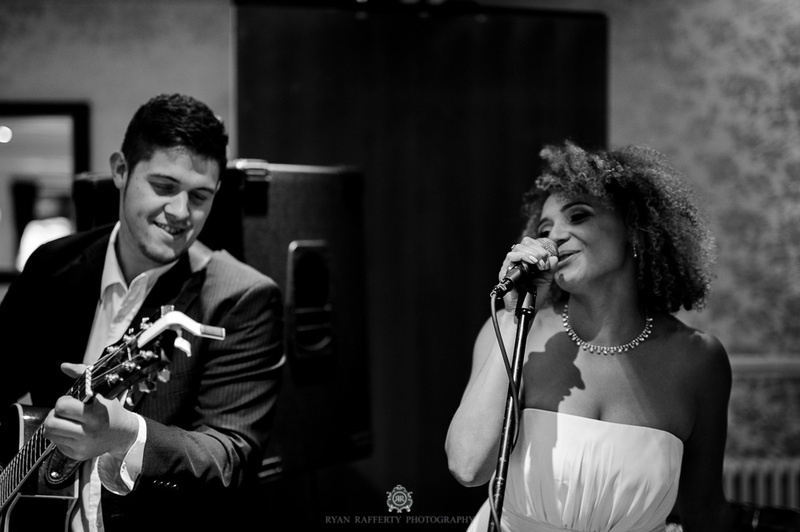 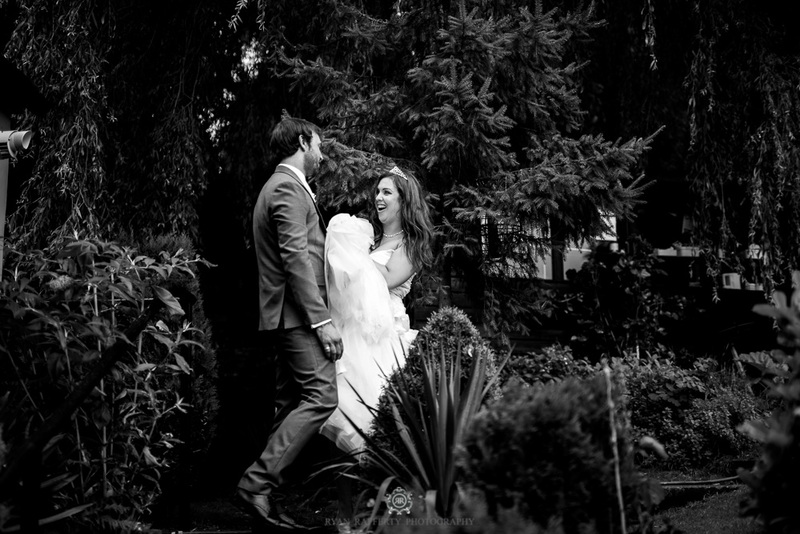 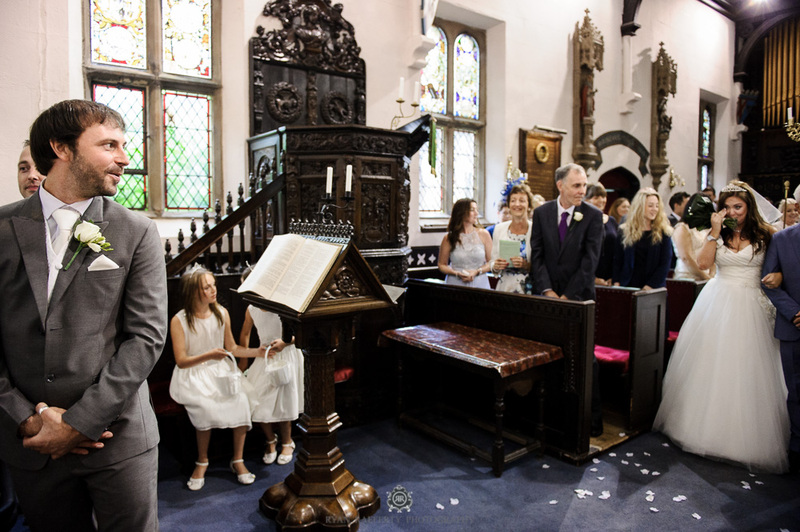 Alderley Edge Hotel Wedding Photography, starring Jennifer and Mark. 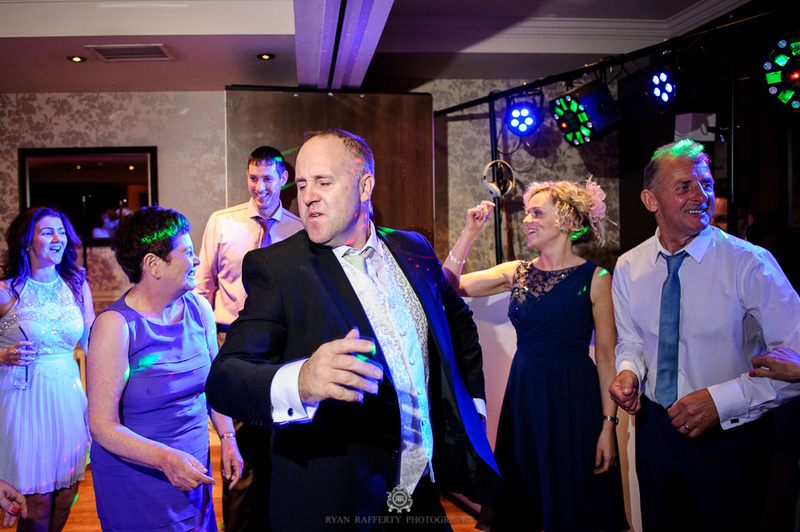 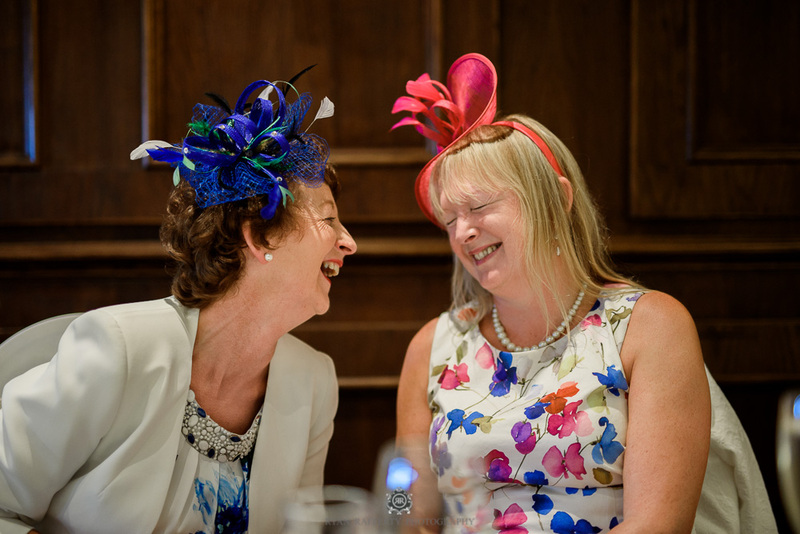 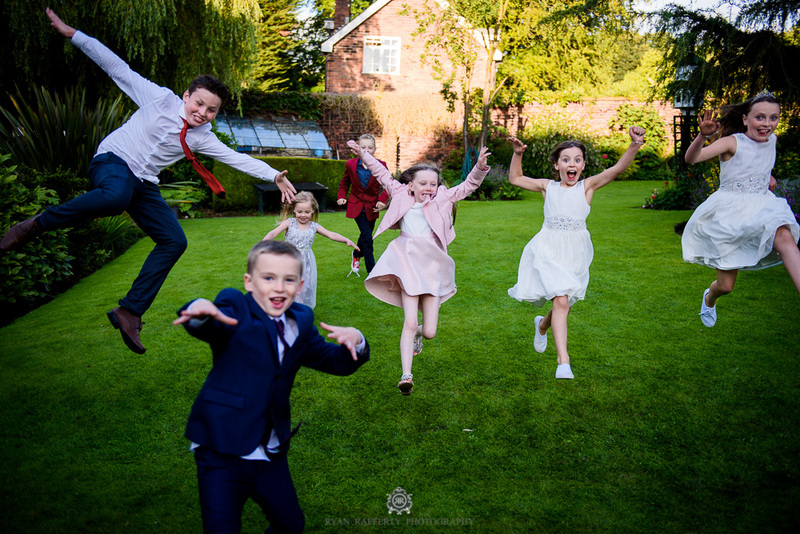 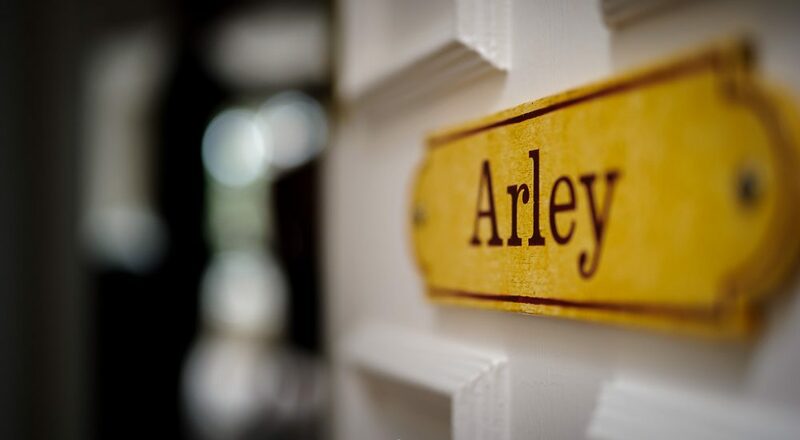 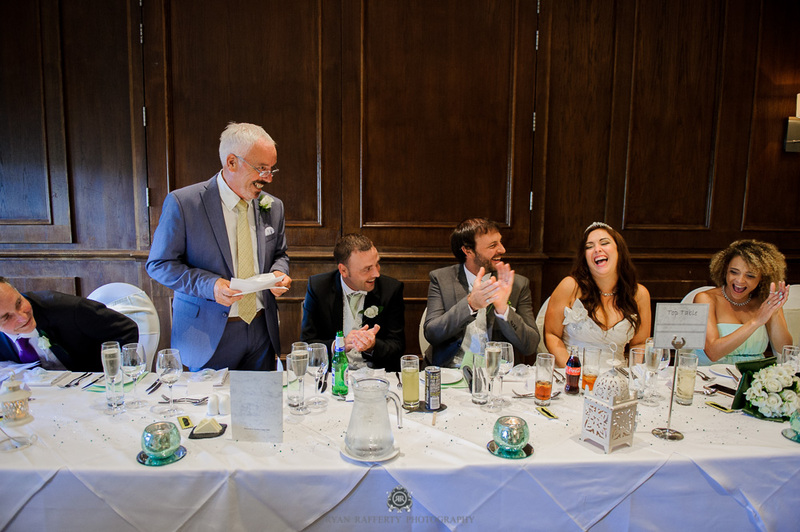 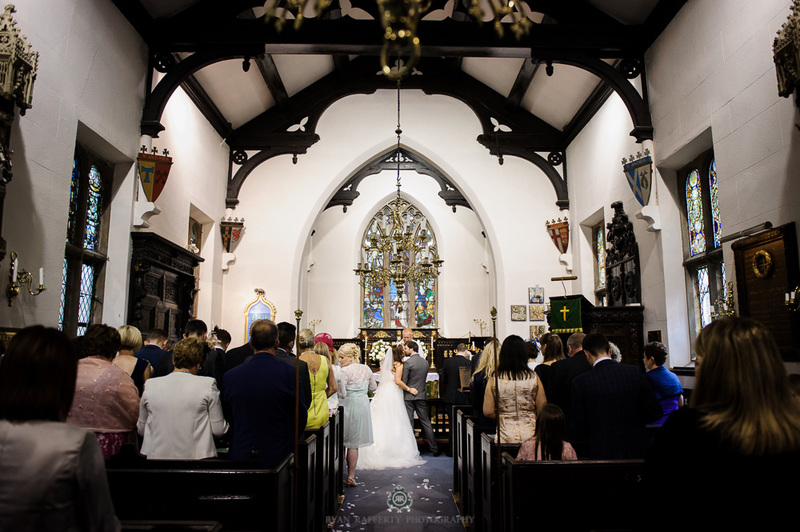 It was a beautiful summer’s day at the Alderley Edge Hotel in Cheshire, and the Arley Suite on the top floor was boiling, as well as buzzing, on the big day. 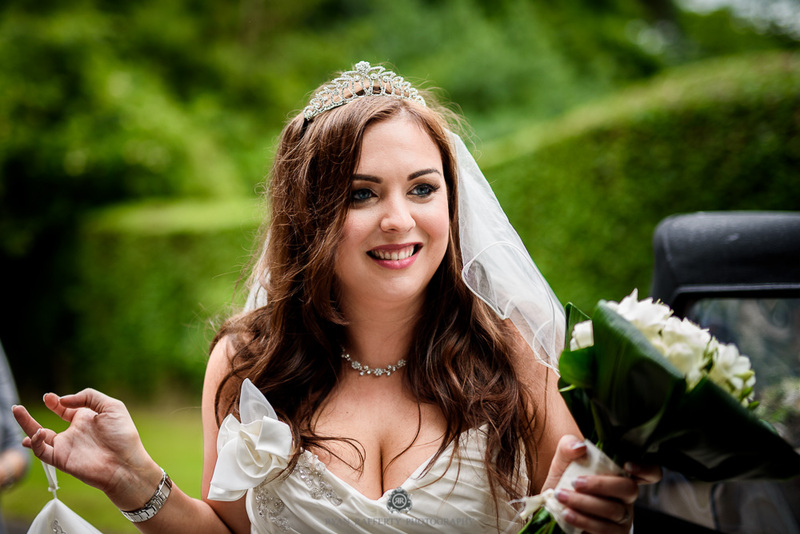 Our bride Jennifer was one of the most relaxed brides I’ve met this year. 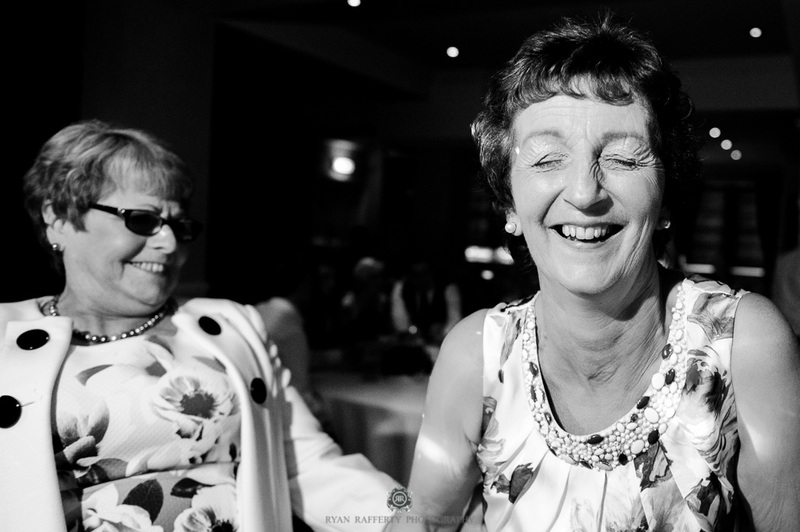 She was so chilled out on the morning of her wedding, in fact I think that her bridesmaids were slightly more worried that she was. 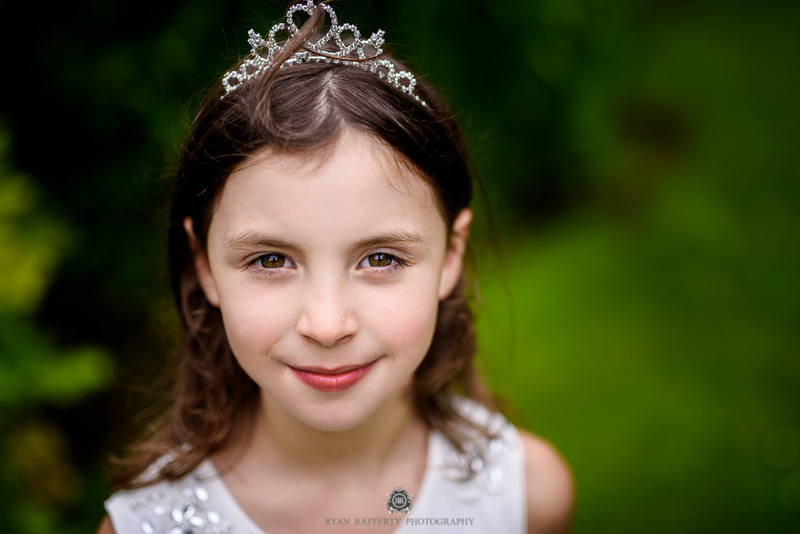 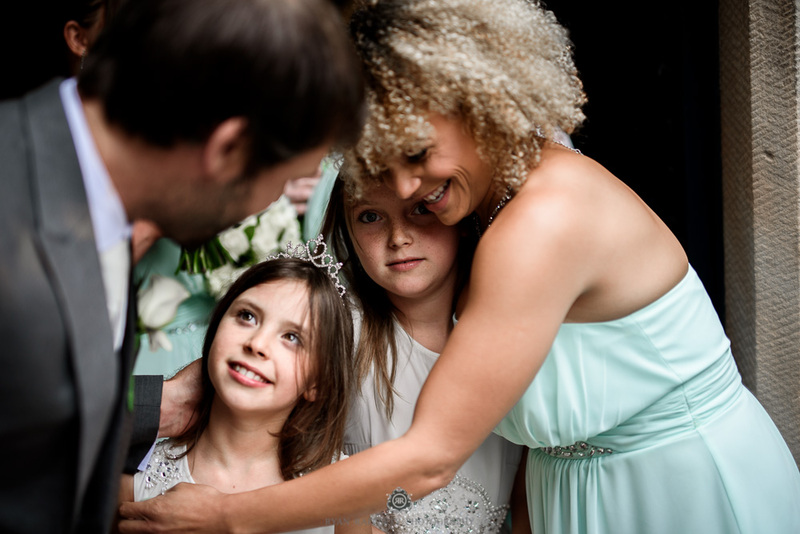 Jennifer was even doing her flower girls hair in her spare time before heading off to the church! 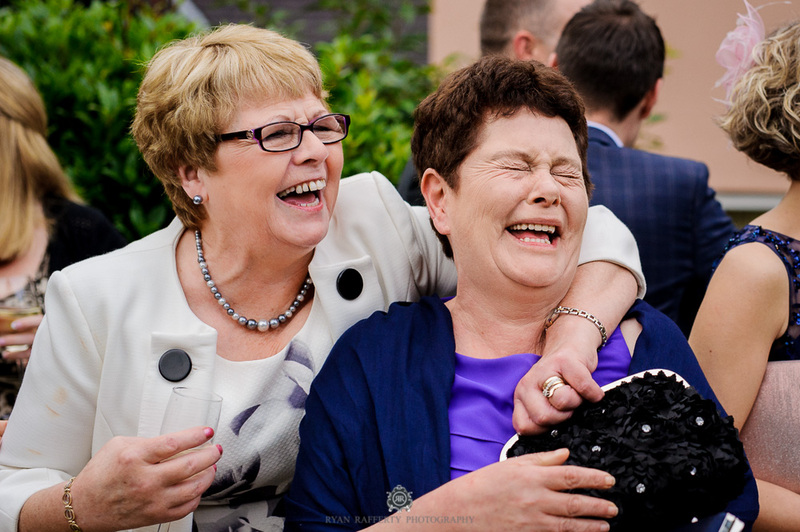 Mark’s family were mostly Irish and many had made the trip from Donegal to be with the happy couple on the day of their nuptials. 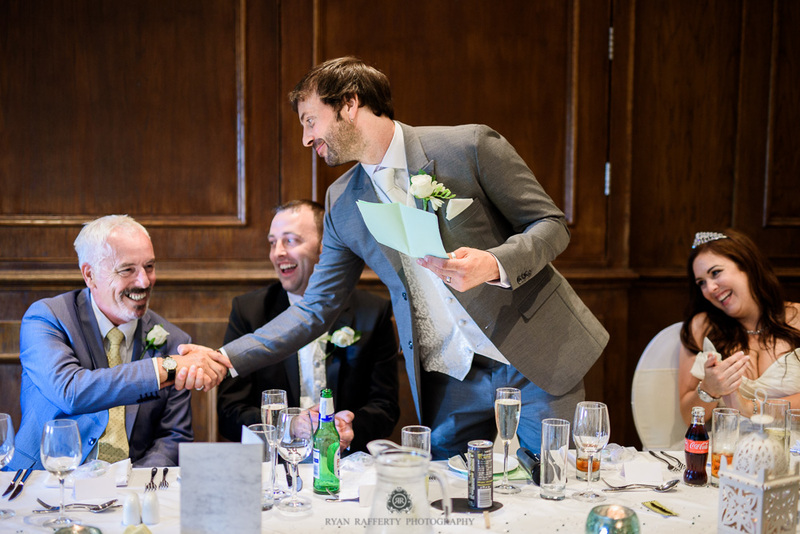 At the Church, our groom Mark awaited anxiously with his best man and groomsmen. 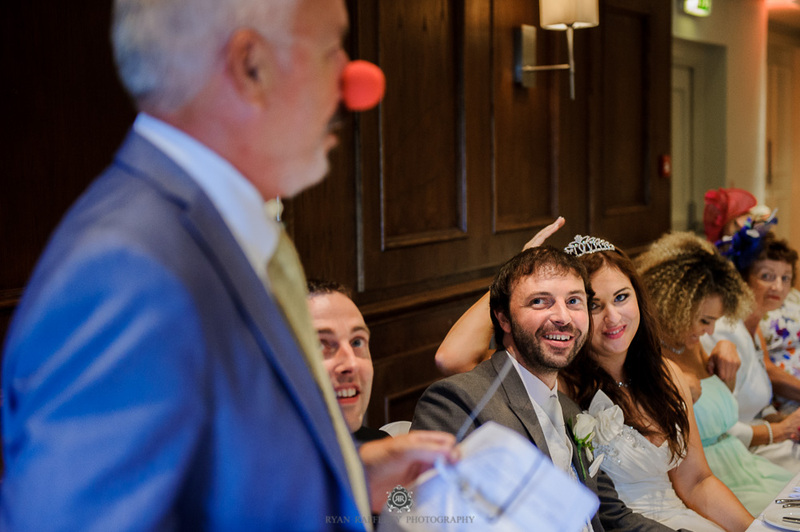 The tension in the air was palpable! 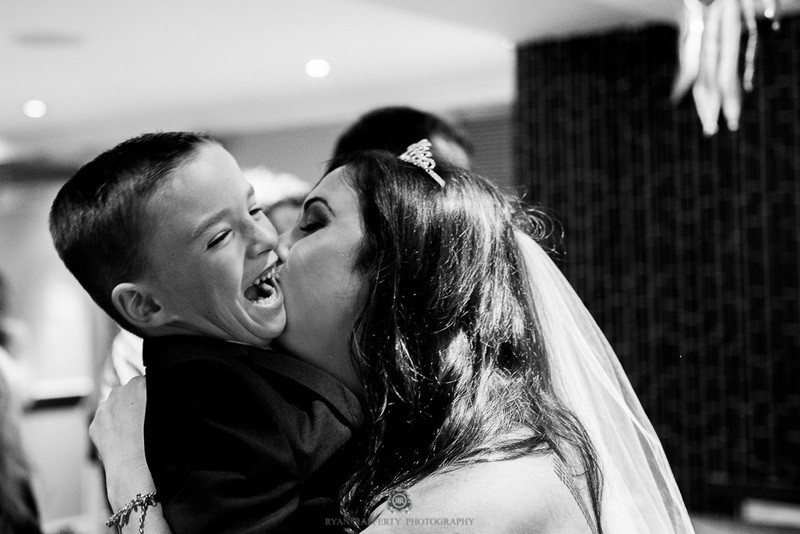 Mark’s face when he saw his beautiful was just magical. 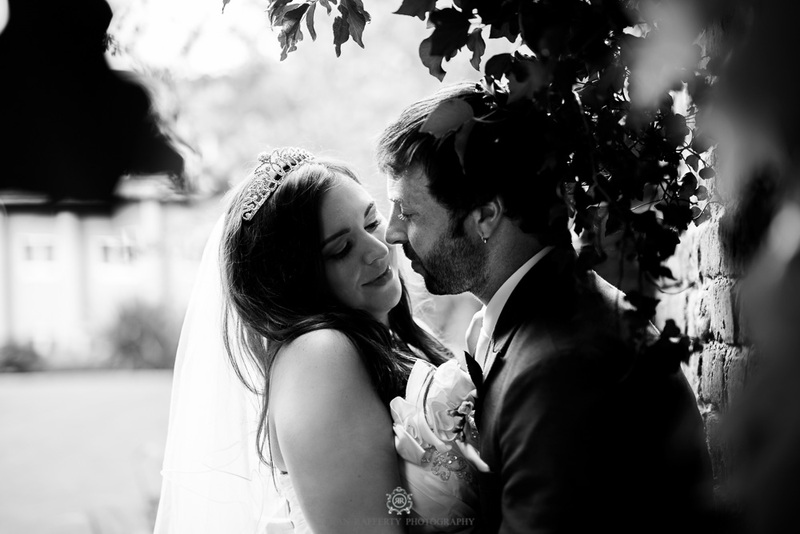 You could see from that single look just how much they loved each other. 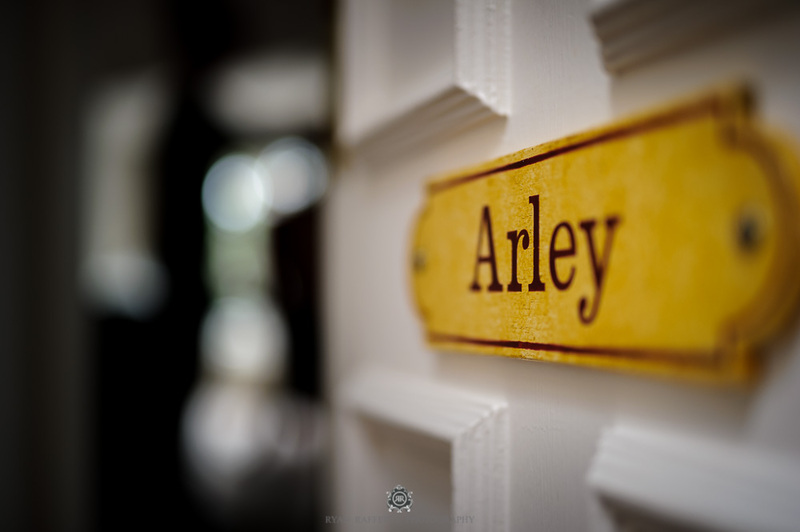 I noticed this throughout the day as I got to know them both a little better. 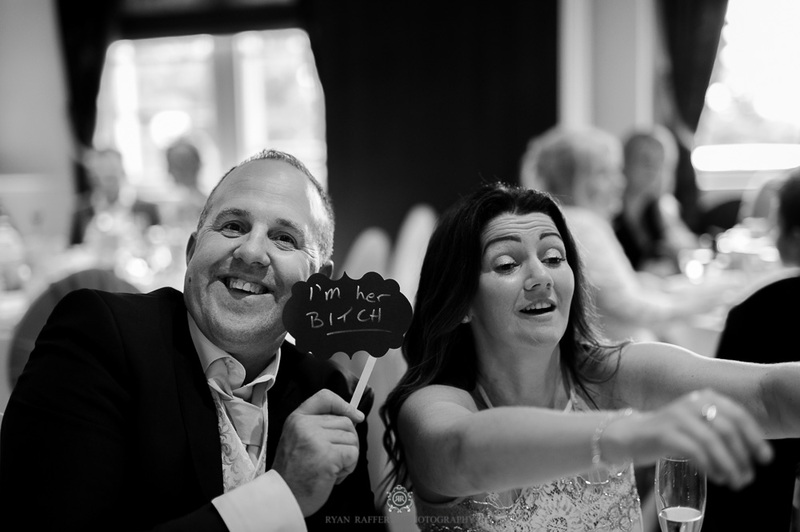 This is one couple that were made for each other! 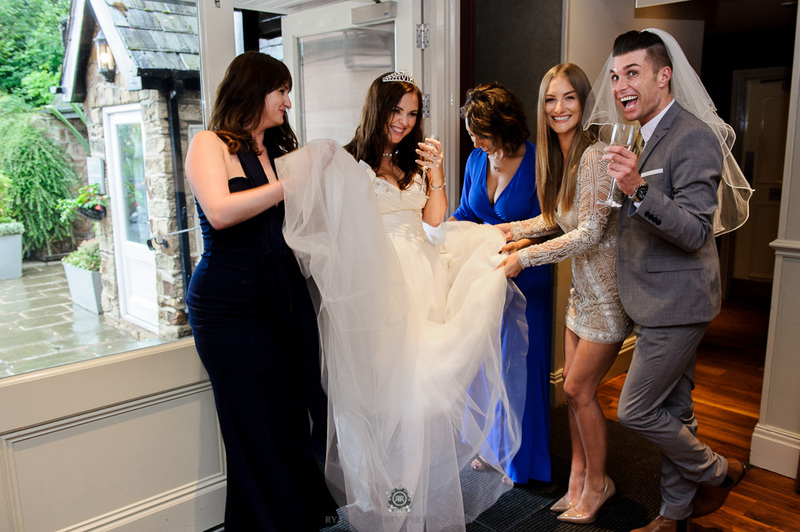 Following the ceremony we returned to the Alderley Edge hotel for drinks and canapes, as well as some group shots and couple photographs. 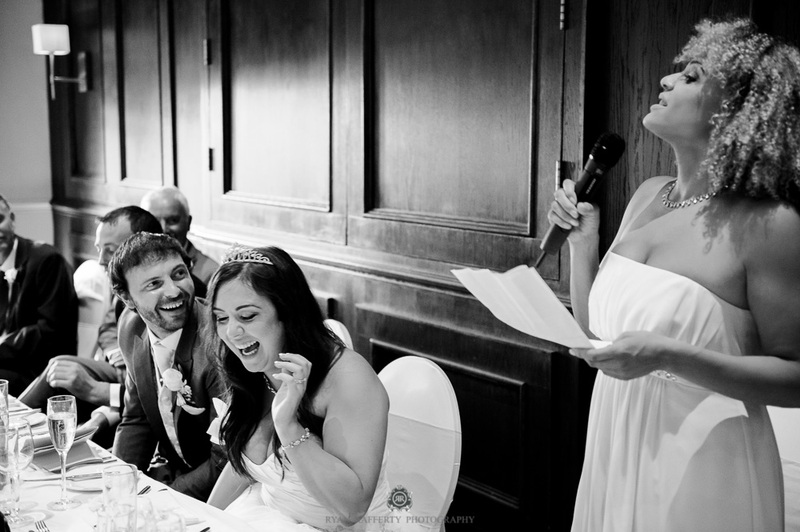 There were some very emotional speeches from the best man, father of the bride and father of the groom. 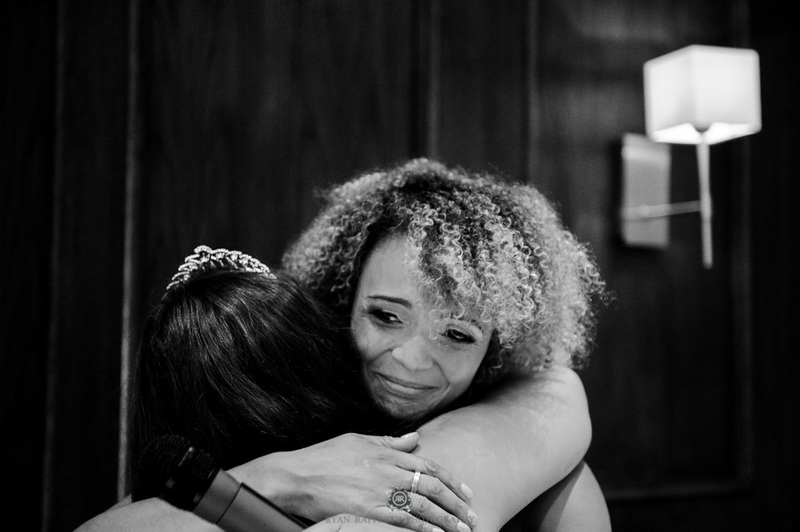 Finally, the maid of honour said a few tear-jerking words, as you’ll see from the photographs below. 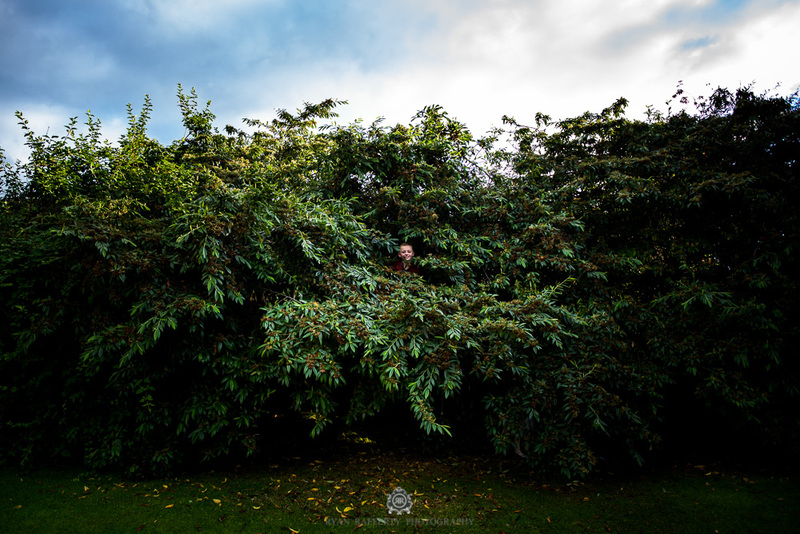 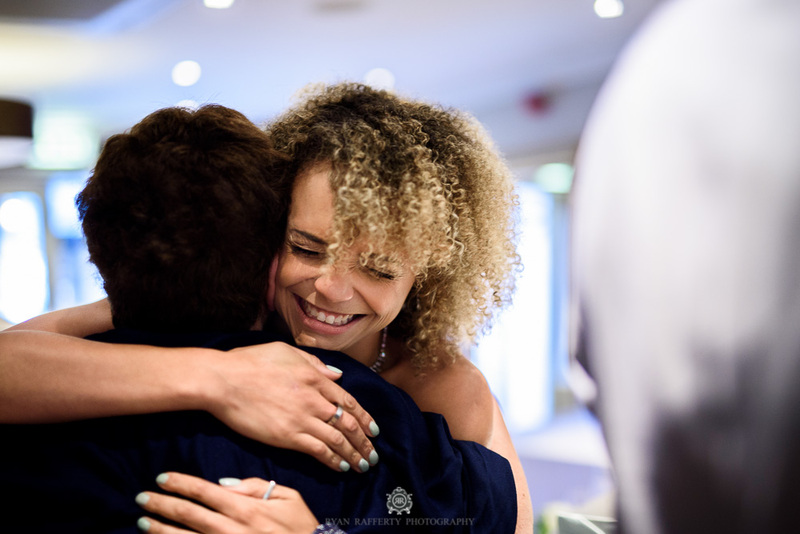 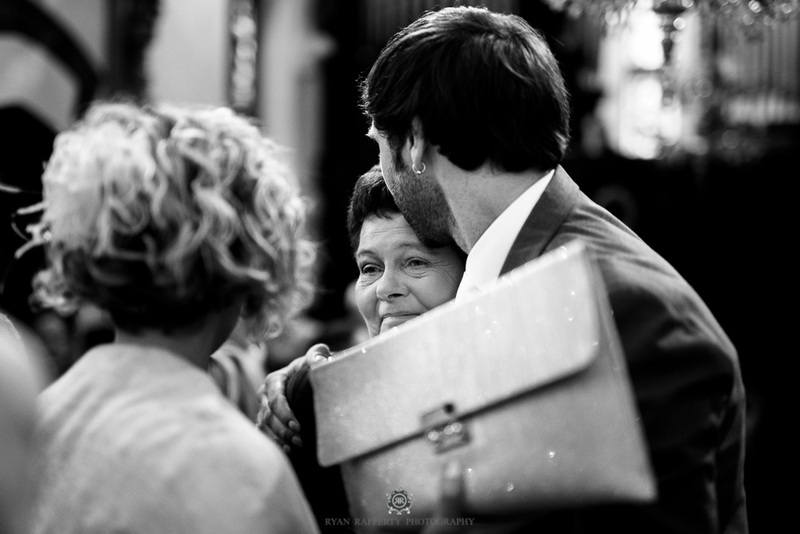 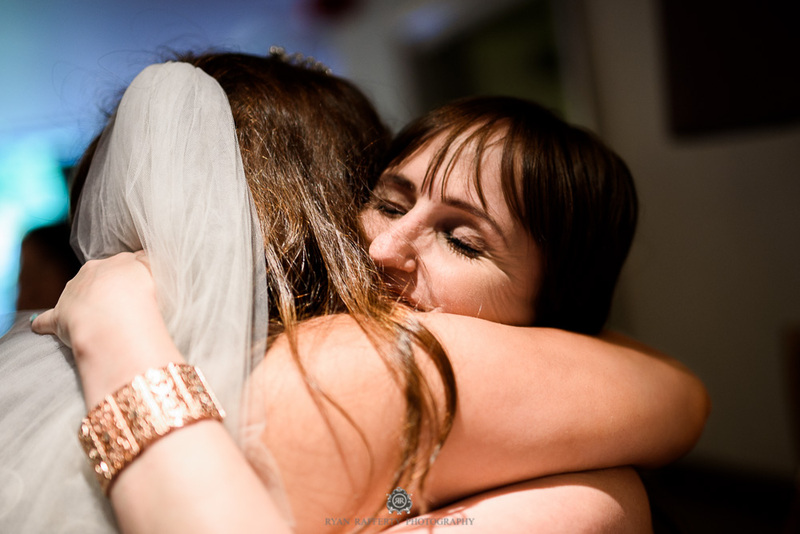 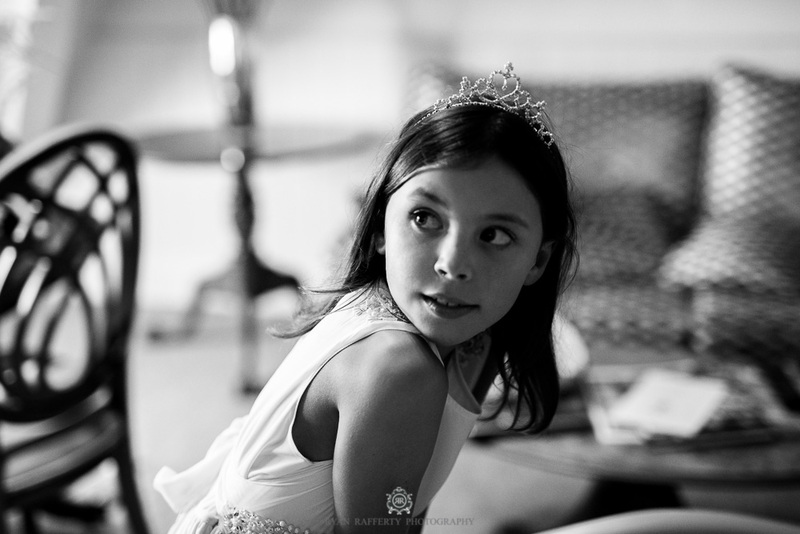 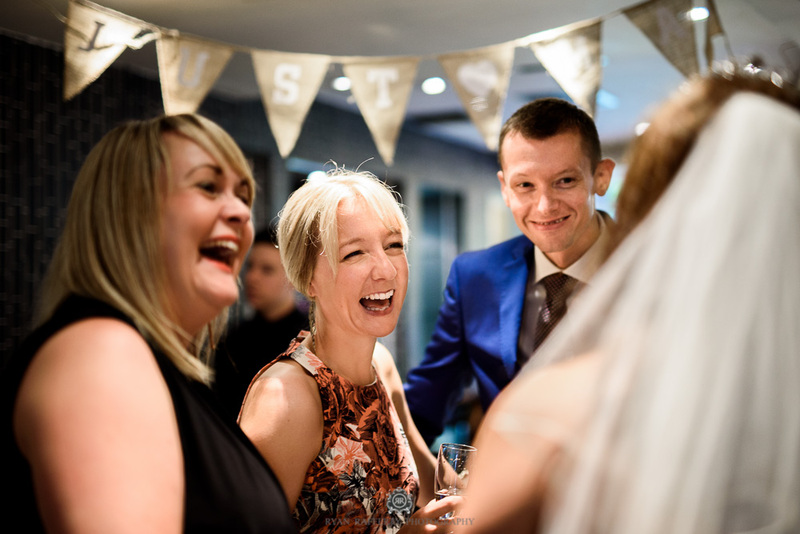 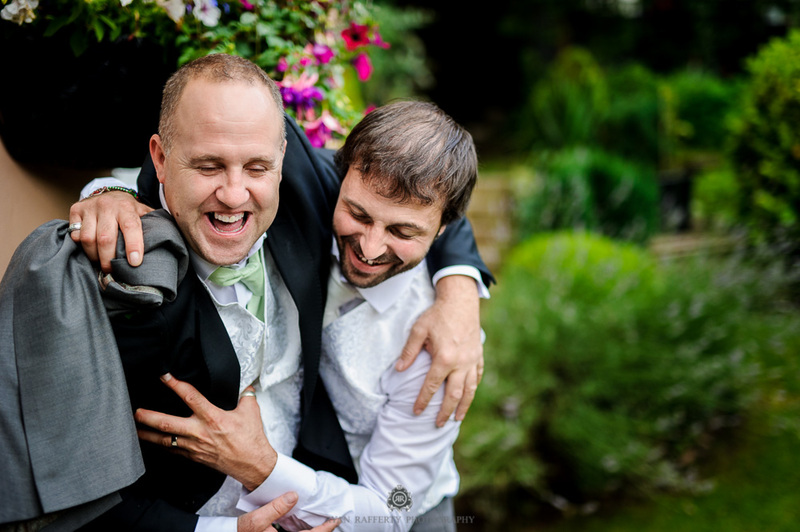 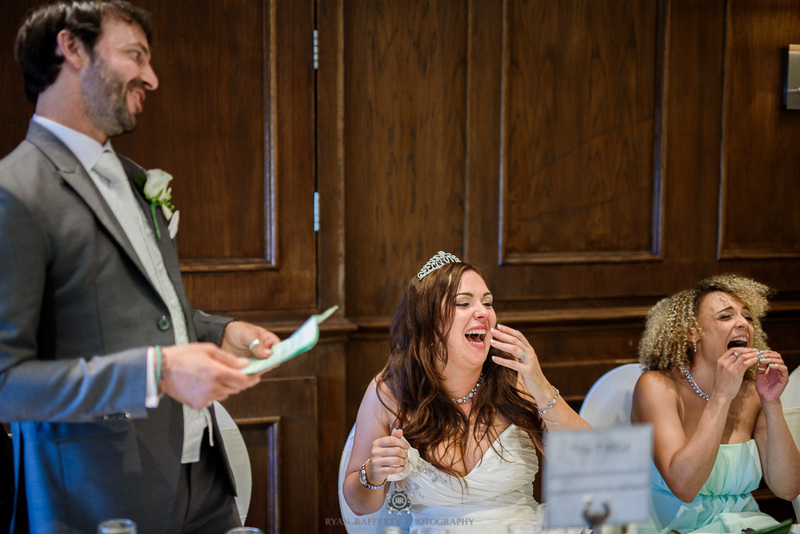 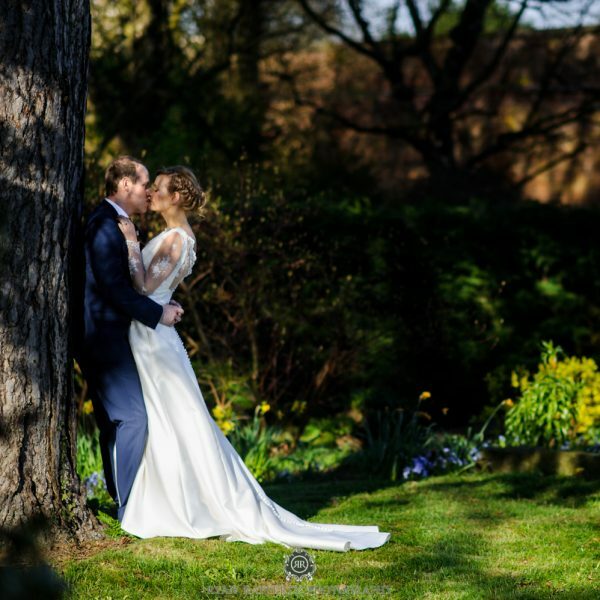 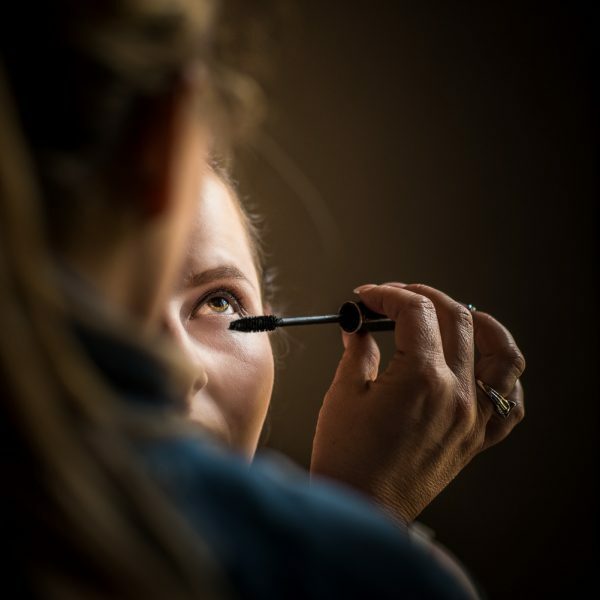 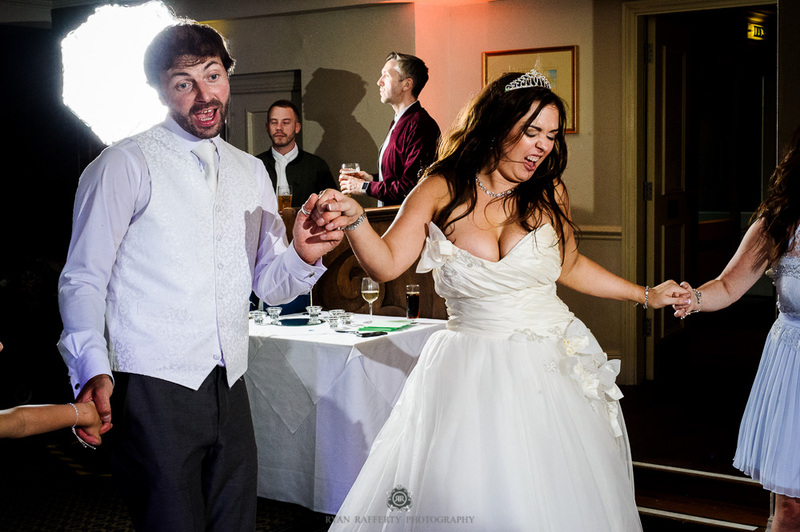 Their Alderley Edge hotel wedding photography was very relaxed and had a reportage feel, where I have tried to capture the pure emotions of the day – all that tension, joy, tears of happiness all caught on camera. 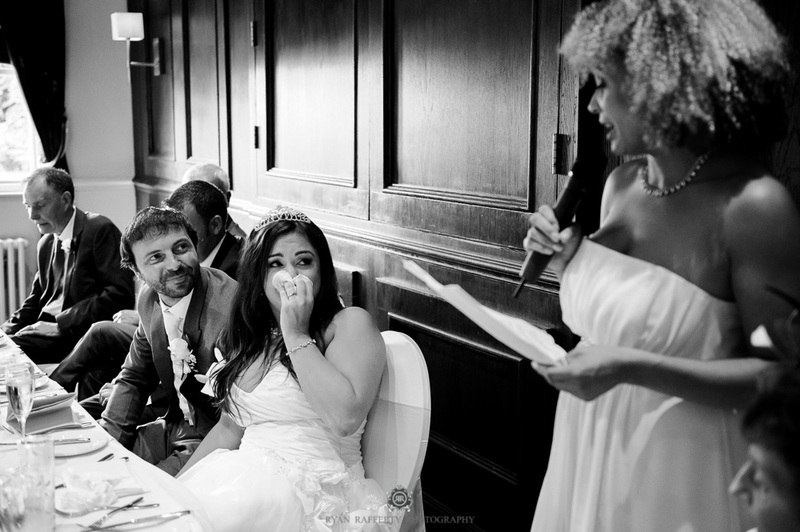 This reflected the personality of the newlyweds perfectly. 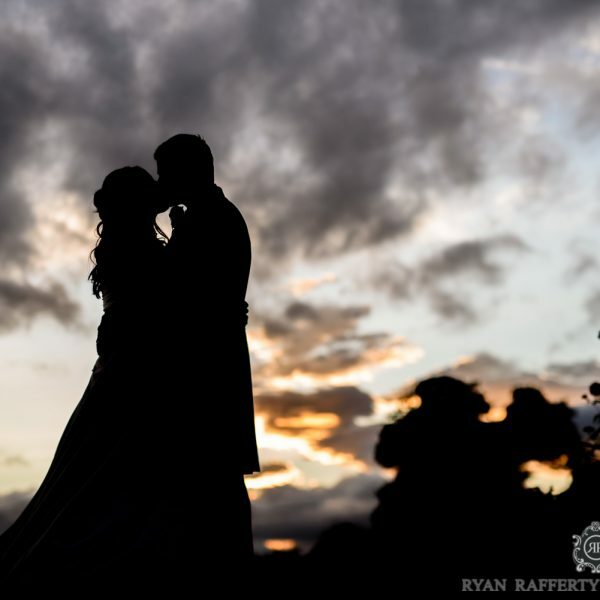 Ryan, the photos are amazing – they really brings back the day. 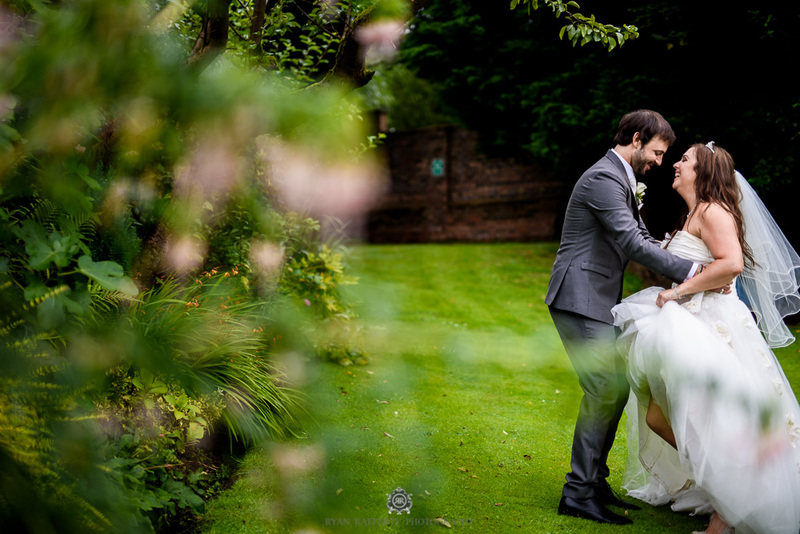 We are both so glad you were our photographer, thank you! 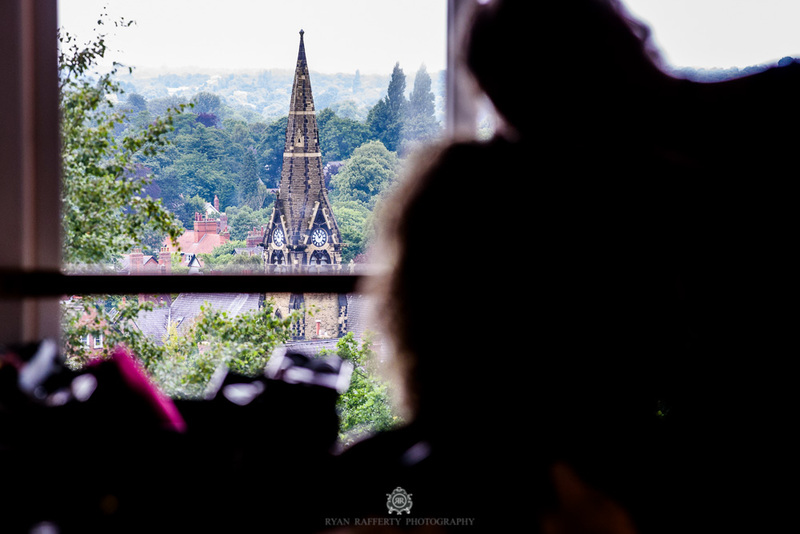 If you are planning your wedding at the Alderley Edge Hotel, and would like to chat about how I would capture your day, please get in touch.